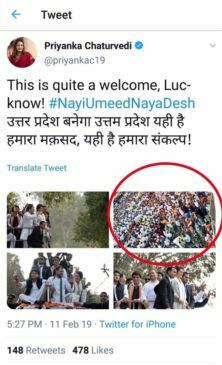 Congress Spokesperson Priyanka Chaturvedi tried to pass of a photo from a Telangana rally as part of Monday’s roadshow at Lucknow to show massive turnout. 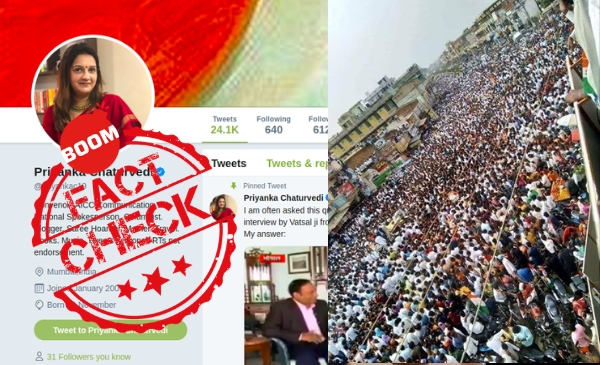 Several Indian National Congress Twitter accounts including spokesperson Priyanka Chaturvedi tweeted a photo from Telangana as a photo from Priyanka Gandhi Vadra’s roadshow at Lucknow, on Monday. 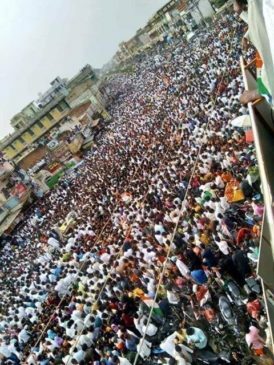 The photo was part of four images tweeted to show a sizeable turnout for the newly appointed general secretary’s roadshow in Uttar Pradesh. 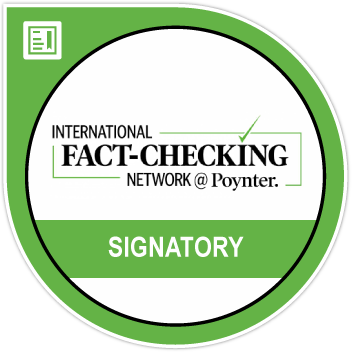 You can access the archived version of Chaturvedi’s tweet here. One of the photos showing a massive gathering turned out to be from a different event altogether. The image was also shared by President of the National Youth Congress, Keshav Chand Yadav. You can access the archived version of the tweet here. A few Twitter users pointed out, one of the buildings in the above photo shared by Chaturvedi had Telugu writings on it, which is highly unusual for Lucknow. Many Congress supporters shared this photo along with ones from Monday’s roadshow that were shared by Chaturvedi. 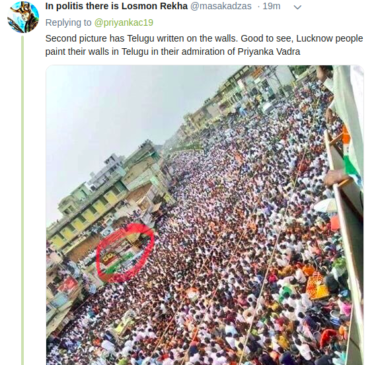 The photo turned out to be from an older event from a Congress campaign rally at Telangana and was tweeted by Mohammed Azharuddin last December, which explains the Telugu text on one of the buildings in the photo. As it became clear that Chaturvedi tried to pass of an older photo as recent one, Twitter users rebuked her. When word got out, both Chaturvedi and Yadav deleted their tweets. Chaturvedi went ahead and accepted her mistake and corrected herself by tweeting a newer set of photos from Monday’s roadshow.